If you're looking for a reliable Hallandale Auto Accident Attorney, look no further than the Law Offices of Robert E. Gluck, P.A. 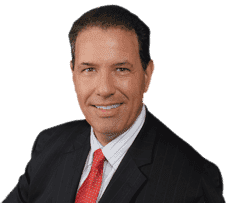 Robert Gluck has been a lawyer since 1989 and is passionate about representing clients in their cases. He will provide you with the legal guidance you need to ensure you receive the financial compensation you deserve. It's important to hire your Hallandale Auto Accident Attorney Robert Gluck immediately after your accident. He will open a thorough investigation into your claim to determine if negligence existed at the time of your accident. Negligence is the legal standard a reasonable person must follow to avoid injury to another person. If another person is responsible for your accident and you've sustained any injuries, they may be held financially responsible. Your Hallandale Auto Accident Attorney will gather all the evidence he believes will help build a strong case for you, such as obtaining witness statements, taking photographs of the accident scene, and assessing property damage. Robert Gluck from the Law Offices of Robert E. Gluck, P.A. advises that you hire him as your Hallandale Auto Accident Attorney to help you through the legal process instead of trying to deal with it on your own. Studies have shown you may receive a higher compensation when represented by a lawyer than if you try to handle the legal proceedings by yourself.